Unilever recruits more than 30,000 people a year and processes around 1.8 million job applications. This takes a tremendous amount of time and resources. As a multinational brand operating in 190 countries, applicants are based all around the world. Finding the right people is an essential ingredient for success, and Unilever can’t afford to overlook talent just because it is buried at the bottom of a pile of CVs. To tackle this problem, Unilever partnered with Pymetrics, a specialist in AI recruitment, to create an online platform, which means candidates can be initially assessed from their own homes, in front of a computer or mobile phone screen. First, they are asked to play a selection of games that test their aptitude, logic, and reasoning, and appetite for risk. Machine learning algorithms are then used to assess their suitability for whatever role they have applied for, by matching their profiles against those of previously successful employees. The second stage of the process involves submitting a video interview. Again, the assessor is not a human being but a machine learning algorithm. The algorithm examines the videos of candidates who answering questions for around 30 minutes, and through a mixture of natural language processing and body language analysis, determines who is likely to be a good fit. 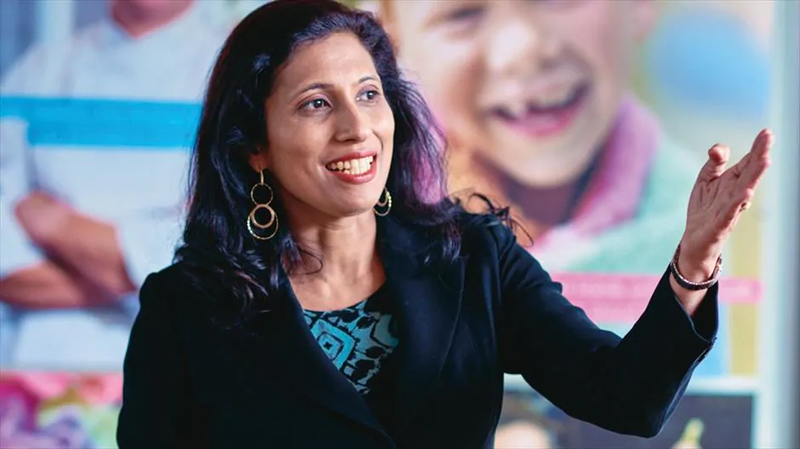 Unilever’s chief of HR, Leena Nair, told me that around 70,000 person-hours of interviewing and assessing candidates had been cut, thanks to the automated screening system. Referring to the video interview analytics for their future leaders program, she tells me: “Every screenshot gives us many data points about the person, so we work with a number of partners and use a lot of proprietary technology with those partners, and then we select 3,500 or so people to go through to our discovery center.” After spending a day with real leaders and recruiters, Unilever selects about 800 people who will be offered a job. Normally when people send an application to a large company it can go into a ‘black hole’ – thank you very much for your CV, we’ll get back to you – and you never hear from them again. All of our applicants get a couple of pages of feedback, how they did in the game, how they did in the video interviews, what characteristics they have that fit, and if they don’t fit, the reason why they didn’t, and what we think they should do to be successful in a future application. So while Unilever isn’t quite ready to hand the entire recruitment process over to machines just yet, it has shown that it can assist with the initial “sift” when it comes to preliminary screening of applicants. After making the grade, another machine-learning-driven initiative is helping new employees get started in their new roles – adapting to the day-to-day routines as well as the corporate culture at the business. Unlike, for example, Alexa or consumer-facing, customer-service corporate chatbots, Unabot must also be able to filter and apply information based on who it is speaking to. It is capable of differentiating the information it passes on based on both the user’s geographical location and their level of seniority within the company. Unabot was first rolled out for employees based in the Philippines and is now operating in 36 countries. It has been selected as the next AI initiative that will be rolled out globally in all of Unilever’s 190 markets. One lesson learned early on was that the importance of providing a frictionless experience.